This band could have easily been called "Doug Martsch and Friends." From its inception in Boise, Idaho in 1992 the band has consisited of singer/songwriter/guitarist Martsch and a veritable revolving door of other musicians. In an interview with SPIN magazine Martsch commented on this state of flux, "The idea of Built to Spill is to have the lineup change all the time. I thought it would be more interesting to make different kinds of music with different people." 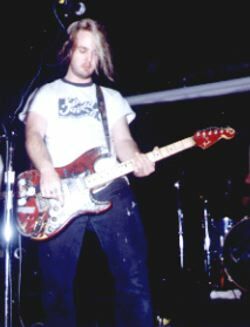 During the late 80's and early 90's Doug Martsch was a member of the Boise pop punk quartet Treepeople. Martsch left the group in 1992 after their move to Seattle. 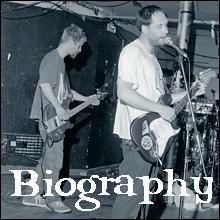 He formed Built To Spill in 1992 with Brett Netson and Ralf Youtz. This incarnation released Ultimate Alternative Wavers in 1993 on C/Z Records. Martsch opted for Up Records for the band's next release in 1994, There's Nothing Wrong With Love. This time with Brett Nelson (not Netson), of Butterfly Train, on bass and drummer Andy Capps. This trio also recorded several tracks in Seattle which were eventually released as The Normal Years on Calvin Johnson's K Records in 1996. 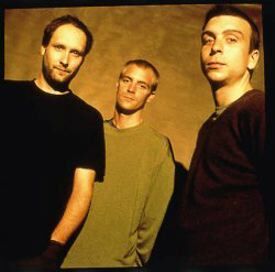 Martsch, Nelson, and members of Boise's Caustic Resin released an EP, Built To Spill Caustic Resin (Up Records), in 1995 before Martsch took his act big time and signed with Warner Brothers. The first Warner release came in 1997 with Perfect From Now On. The album was met with much critical praise and a larger promotion budget introduced the band to a nation of music fans who had become bored with popular alterna-rock. At this point the band consisted of Martsch, Nelson, Netson, and drummer Scott Plouf (Beck, The Spinanes, Team Dresch). They released another highly-regarded album in 1999 called Keep It Like A Secret. In 2000 Warner Bros. released Live, a collection of recordings from the KILAS tour. 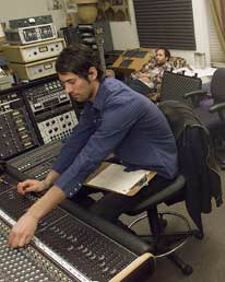 Doug claims that he didn't have much to do with the project which was mostly the brainchild of producer Phil Ek. The band returned to the studio and released Ancient Melodies Of The Future in 2001. The album features guest work from Brett Netson and Sam Coomes of Heatmiser and Quasi fame (he also provided keyboards for KILAS and Live). Right now Built To Spill is officially Doug Martsch, Brett Nelson, and Scott Plouf. Martsch is also involved in a collaboration with Calvin Johnson of Beat Happening, Ralf Youtz, and Wayne Flower called the Halo Benders. The group has released several albums over the years on K Records. Brett Nelson keeps himself busy with his side-project Suffocation Keep.